Since the dawn of civilization the vampire has danced through the dreams and nightmares of every culture, expressed in folklore, literature, and art. Today, this fascination resonates in pop-culture, through hit television shows and movies and bestselling books. But what does it mean to be a vampire, a living and modern vampire? What many do not realize is that the Living Vampire is on a serious, lifelong spiritual path. Best known as Strigoi Vii, the Living Vampire is one who has embarked on a serious and lifelong spiritual path. Not just �kids in capes,� the members of this magickal community seek to live in glamour and ritual every day. 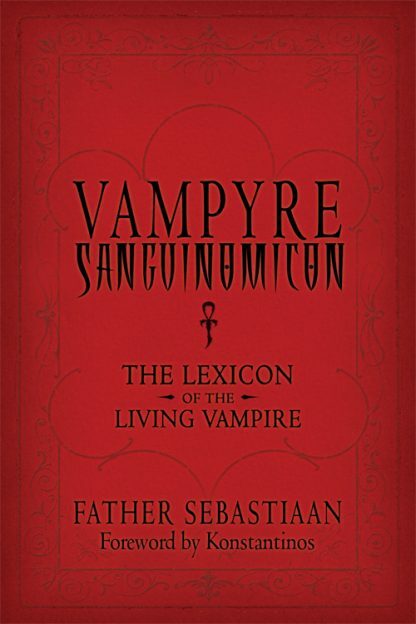 The Vampyre Sanguinomicon provides a profound perspective on the Vampyre culture, traditions, movement and philosophies, which are intended to challenge and inspire your views.�Chapters include Vampyre Ritual, Vampyre Sensuality, Beginning Vampyrism, and The Vampyre Wedding.